Anne C. Bailey is a writer, historian, and a tenured professor of History and Africana Studies at SUNY Binghamton (State University of New York). In her work, she combines the elements of travel, adventure, history, and an understanding of contemporary issues, with an accessible style. Her works range from adult non-fiction to children’s historical fiction, and include African Voices of the Atlantic Slave Trade: Beyond the Silence and the Shame, Anchors in the Sand,You Can Make A Difference: The Story of Martin Luther King Jr., and Return to the Cave of Time. She is currently at work on her next book, The Weeping Time: Anatomy of a Slave Auction. Bailey has given presentations all over the world at schools, universities, and historical organizations, including a historical reading at the first conference of “Black Writers in Paris." She shared the stage with Paule Marshall, Louise Meriweather, and Ishmael Reed. She has also been a guest on television and radio shows, such as Tavis Smiley. She appeared on the cover of Essence magazine while she was a sophomore at Harvard, and a 1995 front-page story in the New York Daily News named her one of the 100 people under 40 to watch. Bailey takes readers on a journey that spans many countries and several continents. Born in Jamaica to William and Daphne Bailey, her work has been informed by extended stays in Paris, London, and West Africa. After immigrating to New York City where she attended high school, she studied English and French at Harvard University and later got her Ph.D. in African History and African Diaspora Studies from the University of Pennsylvania. Bailey is committed to a concept of “living history” in which events of the past are connected to current and contemporary issues. Influenced by her Christian faith, she is also concerned with the reconciliation of communities after age old conflicts like slavery, war, and genocide. This is best evidenced in her recent non-fiction book, African Voices of the Atlantic Slave Trade: Beyond the Silence and the Shame (Beacon Press). The book captures African memories of the slave trade – a rich yet largely neglected source of information on this important era. African chiefs and other elders share stories that reveal the experience of Africans as victims of the trade as well as traders. At the same time, African Voices of the Atlantic Slave Trade bridges the gap between Africa and the African Diaspora in tackling issues from trade operations on the continent to reparations for African descendants. She is also the author of the historical novel Anchors in the Sand. The book asks readers to imagine: What if historical characters from the era of the Atlantic slave trade were able to tell their stories directly to an audience today? How would the African trader explain his involvement? How would American and European traders and planters account for their role in slavery? What about those who resisted this terrible institution? What would they have to tell us now that might help heal the wounds of our collective past? Designed as a frame tale, Anchors weaves monologues of different characters based on actual oral histories collected in Southern Ghana in 1993 in the context of a modern day story of discovery and adventure. Bailey has also published two books of historical fiction for children: You Can Make A Difference: The Story of Martin Luther King Jr. (Bantam/Doubleday/Dell) and Return to the Cave of Time (co-authored with Edward Packard). Other publications include numerous articles in London newspapers including a front-page story on the death of Princess Diana in 1997 and a monthly column for the UK edition of the Jamaican Gleaner. She also contributed to Relocating Post Colonialism (Blackwell Pub., 2002) which was edited by Ato Quayson and David Goldberg of Cambridge University. Bailey’s activities as an educator have also shaped her life and work. 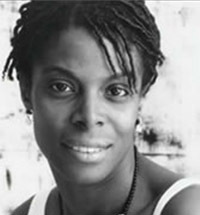 These include her tenure as Executive Director for the Albert G. Oliver Program, a New York based non-profit that provides scholarships for minority children, and her work as a Visiting Professor of History at Rutgers University, Bryn Mawr College, Cambridge College, the University of Pennsylvania, and Harvard University. She was also a W.E.B. DuBois Fellow at Harvard University’s Department of Afro-American Studies in 2000. Influenced by writers as diverse as Toni Morrison, Gloria Naylor, Alex Haley, and C.S. Lewis, Bailey’s aim is to combine an accessible writing style and a global perspective with a knowledge of history. Bailey lives in New York with her son, Mickias Joseph.